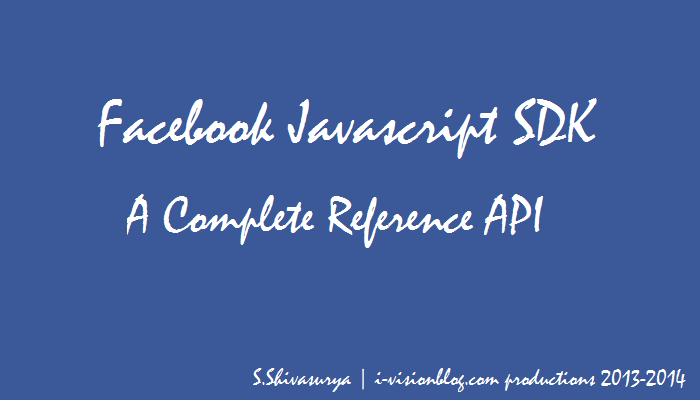 Recently i was spending my time on Quora,Instagram and Good reads,pinterest in my free time, and the Most common feature i was seeing through the three Apps was Facebook Integration deeper and they were utilizing the Facebook API to the core and increasing the Traffic,Socializing their apps in successful manner.I have made the title as Complete reference since,Utilizing proceeding API calls we could successfully socialize and integrate apps efficiently with facebook and drive more social traffic. Rather than the Company Advertising,When Friend suggest you via App,that will be really true and awesome to check it out and which drives more user Engagements to your app. Facebook API provides excellent API service to integrate with Their friends and share the apps from likes to custom Stories via your app.So lets come up and use the API effectively and deeply link your service and make the users to socialize and drive social traffic to your web app without much Efforts. After Working out from this Post you can Integrate Facebook API such as Like,Comments,Photo upload,Links Sharing and custom stories from your site and increase your Social traffic and engagement of users. Generally Facebook API is normal Web service (RESTful) where resource are accessed via URLs.Each method/functions has separate url to access with Access tokens with privacy/permissions from users and Oauth Authentications. Create App in facebook with corresponding Name. Get your APP_ID and Secret KEY for the APP. Add your contact email address and App namespace and Domain of the APP. so,With the help of above function we could authenticate the valid user to the app. So,Invoke Login when user hits a button or Facebook too gave inbuild html tag for login Button.So just pass the permissions as parameters. Sending app invites,sharing links directly via app to fb as personalized messages to your friends. However this makes more interesting, This is same as Pinterest to invite other users to join with you on pinterest,with personalized message to your friends as well as group message. Sharing the info in your wall - via app. Sharing to friends timeline directly by passing the options as from,to,picture,caption etc.have a look at complete option list here. The response would be post id after sharing in wall or feed successfully. Note : Once again if your friend chooses privacy as only she/he could post on his/her timeline,then there would be an Exception and be ready to handle. Bad!luck, this is completely removed above API 2.0 version. One of the most likable feature is event subscription,which will make our app to respond to likes,comments,share as callbacks.this would be better for writing general application logics. The same way once after subscribed,we could also unsubscribe the events that occurs. So,with these components and API,we could develop and promote our Data driven Web applications/games and bring back more traffic to our site/App. For hugs/bugs/suggestions/help/projects,just drop me a mail to s.shivasurya@gmail.com or chat with me in Facebook/G+ chat.follow me in twitter,linkedin for updates.Share is care.Do comments.